Anxiety to see a growing baby inside the belly is undoubtedly a very common emotion that every soon-to-be mom encounters during pregnancy. Forty weeks is definitely a long time and the excitement to take a glimpse of teeny-weeny fingers and toes of a baby during this time is hard to resist. 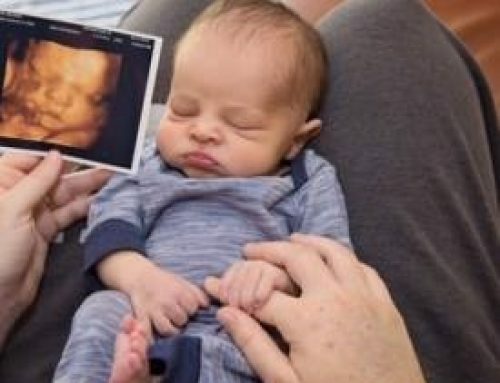 And because of the widely growing concept of 4D ultrasounds, it has become possible for Houston mothers to see their unborn babies in depth and detail. What Exactly Is a 4D Ultrasound? With the newer 4D Ultrasound exam, multiple two-dimensional images at varying angles are captured and then pieced together with a three-dimensional phase to form an image showing movement. 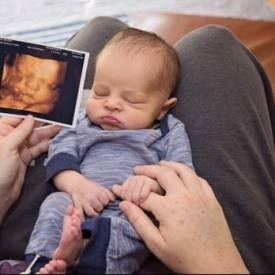 A 4D ultrasound is more like a video where you can see your baby doing various activities like sucking thumb or opening and closing eyes. It is far better than a 2D scan where you get to see a flat grainy gray image of your baby in the womb. Why Mothers Prefer 4D Ultrasounds-Houston? Like 2D scans performed throughout your pregnancy for examining the fetus in order to assess amniotic fluid and other birth defects, 4D ultrasounds too are performed for the same examinations. However, 4D ultrasounds are more detailed and help medical practitioners to closely examine suspected fetal anomalies. Suppose, if a baby has cleft lip, some issue related to the spinal cord or other defects, they can be clearly identified with a 4D ultrasound. 4D ultrasounds are usually performed between the 26 and 32 weeks of pregnancy. This is because prior to the 26th week the babies have not developed enough fat required to clearly see features and after 32 weeks babies shift positions for nearing delivery which makes it difficult to see their face and features. There are various benefits of 4D ultrasounds over 2D scans. But one of the most exciting reasons for having a 4D scan is to see the face and features of your baby in detail. Depending on the position of your baby, your scan can enable you to see eyes, mouth, and nose of your baby. In fact, you can also see them stretching, yawning, wiggling their fingers and even sticking their tongues out when cheeky. Benefits of having a 4D scan will also depend on your particular circumstance. Some moms are only excited to get a better glimpse of their baby inside the womb so as to see how they are growing and moving in real-time. There are also medical benefits of a 4D ultrasound because it empowers the sonographer to properly check the growth of your baby. It also helps in knowing the position of placenta, amount of amniotic fluid, development of the stomach, kidneys and bladder and several other medical courses to know your baby’s health. However, it is always recommended to keep the number of scans during your pregnancy minimum. If you’re experiencing unusual pain, bleeding, spotting or have a history of early miscarriage or ectopic pregnancy, you can consult your doctor for a 4D Ultrasound in Houston, TX and surrounding areas.